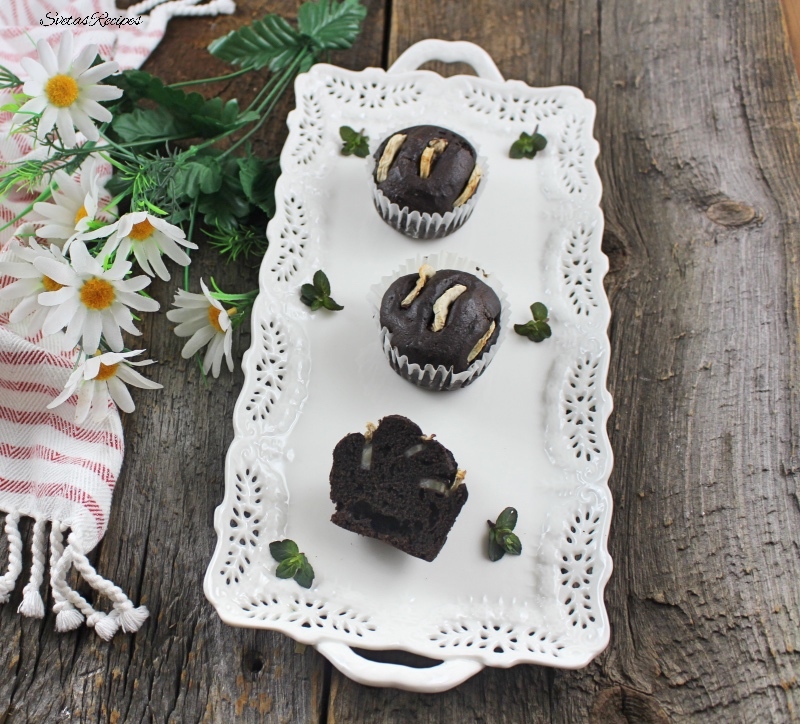 Banana Muffins are very healthy since they contain bananas and they are also very soft. They taste like a nice chocolate bar. 1.) In a large bowl add your sugar and eggs. Next mix them together well. In a separate bowl add your CoCoa Powder, baking powder, flour and mix it together well. After your eggs are mixed, add olive oil and mix again. 2.) Cut your banana into 32 thin slices. Add milk to your egg mixture and mix well. After add your CoCoa powder mixture. 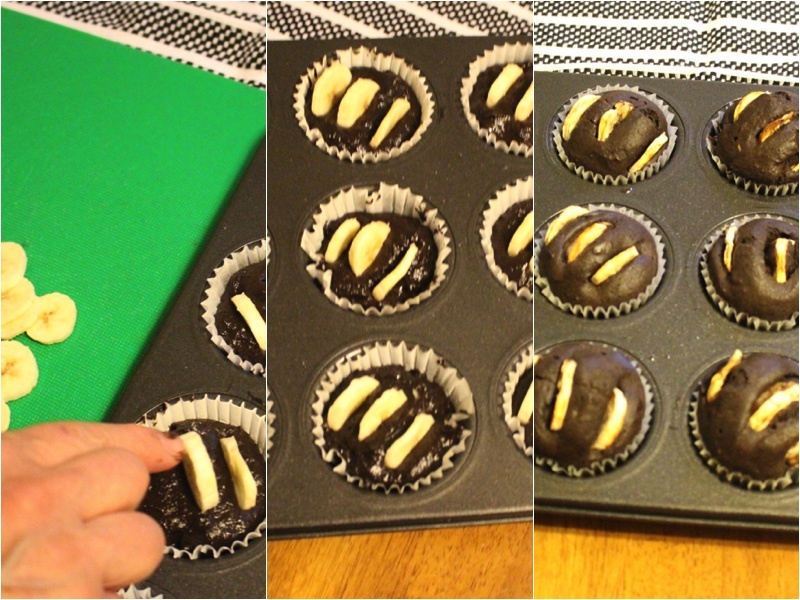 Place one table spoon of your mixture into each muffin slot that has a muffin filter. 3.) 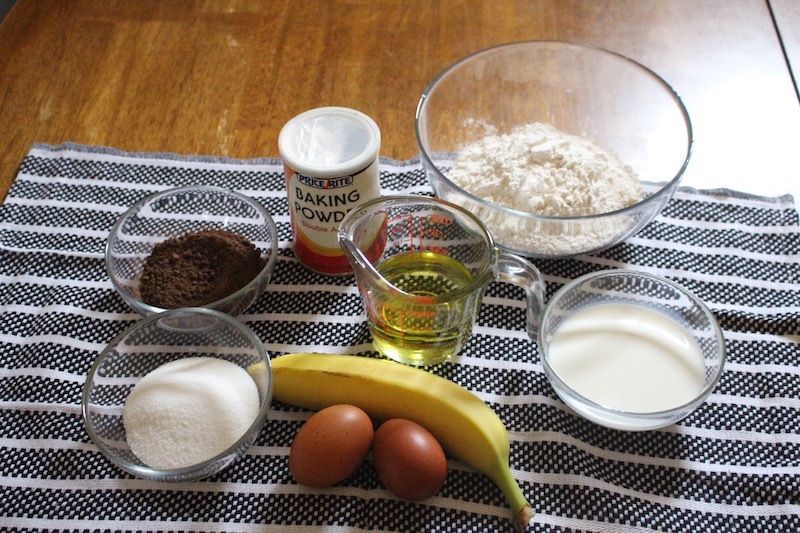 Now place 3 pieces of banana into each muffin. Bake for 25 minutes on 375 Degrees F. Place on a serving dish and enjoy. In a large bowl add your sugar and eggs. Next mix them together well. In a separate bowl add your CoCoa Powder, baking powder, flour and mix it together well. After your eggs are mixed, add olive oil and mix again. Cut your banana into 32 thin slices. 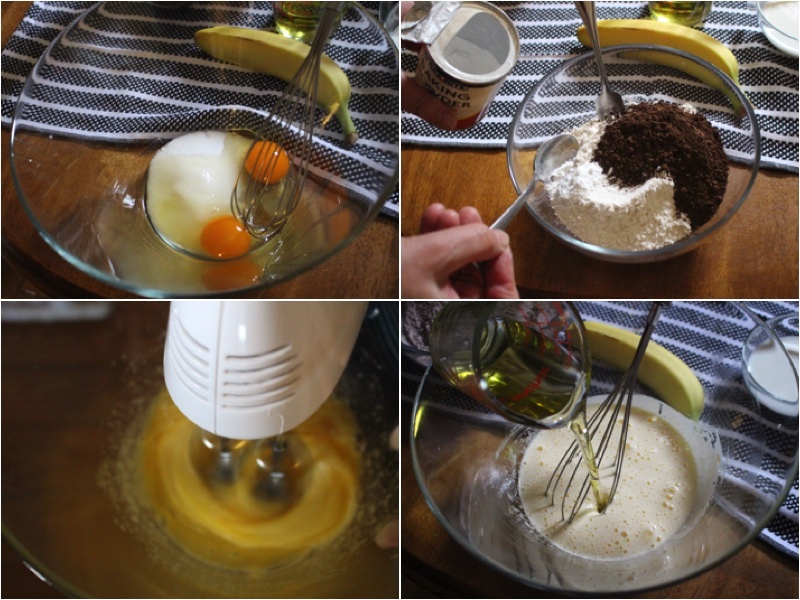 Add milk to your egg mixture and mix well. After add your CoCoa powder mixture. Place one table spoon of your mixture into each muffin slot that has a muffin filter. 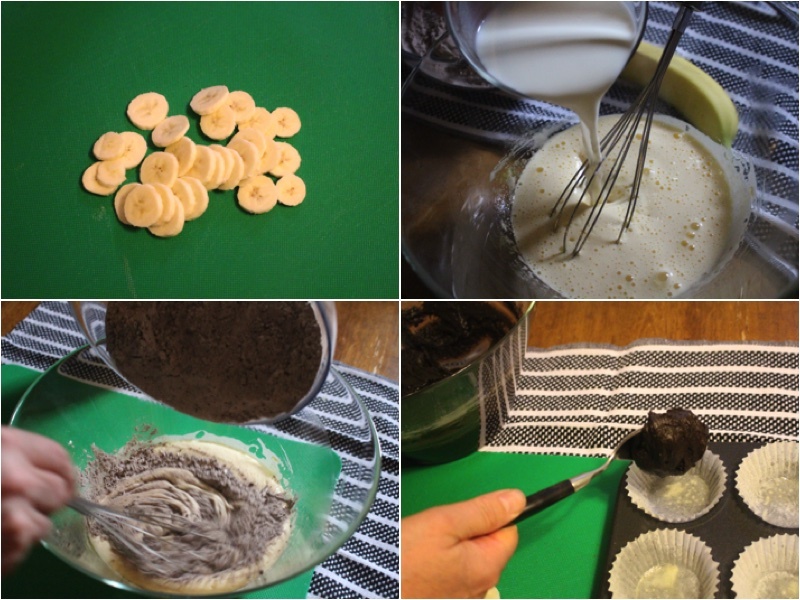 Now place 3 pieces of banana into each muffin. Bake for 25 minutes on 375 Degrees F. Place on a serving dish and enjoy.